If you’re looking for a holiday like no other, head to Singapore in south-east Asia. Whatever you’re interested in, you’ll find your ‘Passion Made Possible’ in this magical island city-state. Culture Shapers will love to wander around town, discovering gleaming modern skyscrapers which are buried amongst ancient, ornate temples. If you’re more of an Explorer, you could be trekking through the forest at MacRitchie in the morning, before enjoying a fascinating afternoon at the Singapore Botanic Gardens. If you’re a Foodie, there are plenty of unique dishes to capture your imagination. 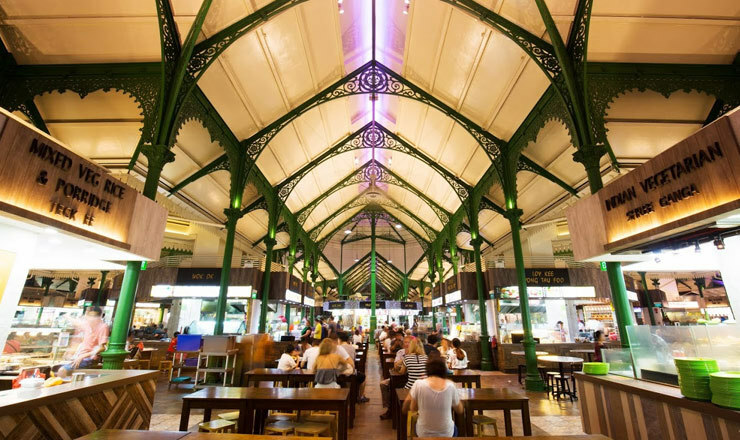 You’ll be spoilt for choice by the delicious Asian dishes at the Hawker Centre, which is an open-air food court. Want to try something a bit fancier? Treat yourself to a delicious meal in a gourmet restaurant. No matter your budget or your taste, you’ll find a piece of Singapore which is perfect for you. Get up early and spend the morning exploring the city's cultural history at the Singapore National Museum. You can either join a guided tour, or grab a map and examine the historical artefacts yourself. By midday, you should have worked up enough of an appetite to enjoy a traditional Asian lunch at Singapore Food Trail. Continue your culture tour at the Asian Civilisations Museum, before ending your day at the Singapore Art Museum. After a late breakfast, head to Gardens by the Bay for a leisurely family day. Stay until sunset to enjoy the choreographed light show. And if you've still got the energy for more after dinner, take a walk on the wild side at the thrilling Night Safari. Open from 7.15pm, the world's first wildlife night park offers starry tram rides past snoozing flamingos and Malayan tapir. Featuring on the UNESCO list of world heritage sites, the Singapore Botanic Gardens is a scenic place to recuperate after a late night. Follow the heady scents to the Aroma Garden, before settling down for an a la carte meal at the Halia restaurant on-site. For a laidback evening, head to Singapores achingly cool Haji Lane, home to a range of bars and shisha spots. You don't need to have children with you to enjoy the Resorts World Sentosa. 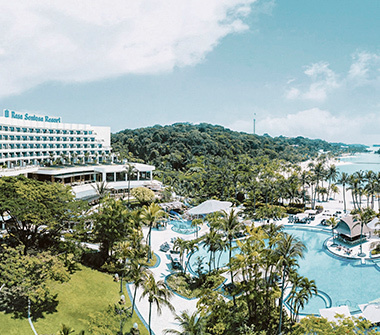 The thrilling theme park rides, world-class entertainment and luxury spa make Sentosa a playground for all ages. Arrive in style via the Singapore Cable Car, and don't leave until you've indulged in a little downtime at the spa. After a late breakfast at the trendy 40 Hands coffee shop, Haji Lane in Kampong Glam is your go-to for a lazy day. Spend some time here musing the street art and quirky boutiques, before settling down to a Malayan dinner. Hang around until evening to watch Kampong Glam come alive with street markets, and don't leave without checking out the highlight of the area, the iconic Sultan Mosque. Treat yourselves to a one-night stay at the grand Marina Bay Sands Hotel. Children and big kids alike will want to experience the infinity pool, which has become one of the most sought-after selfie spots in Singapore. If you can tear yourselves away from the water, head to the rooftop restaurant, where you can enjoy tasty Asian dishes against a backdrop of sweeping city panoramas. Spend the rest of your evening exploring the bars along One Fullerton. Ride the MRT to Lavender station where you'll find the Jalan Besar Heritage Trail. You can explore this former swampland yourselves, or hop on a guided tour for a better insight. In the afternoon, Petain Road is your go-to for photo opportunities. The intricate shophouses on this street are definitely worthy of a Facebook post. Before you end your day, make a stop at Chye Seng Huat, where the contemporary wood decor is just as inviting as the freshly-roasted coffee. 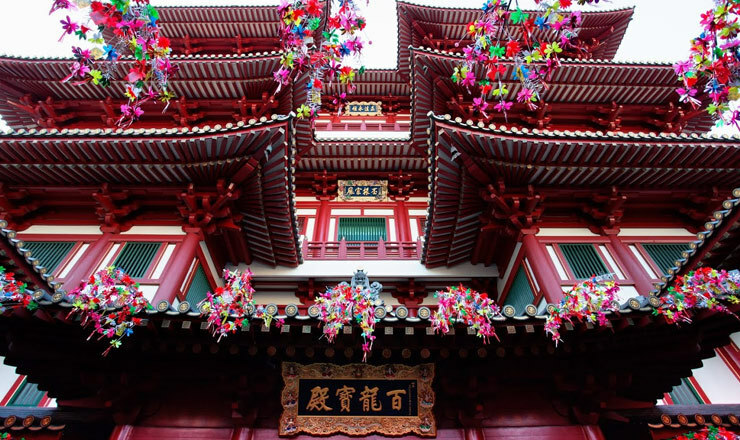 For your culture fix, head to Singapore's bustling Chinatown - home to the opulent Buddha Tooth Relic Temple and Chinatown Heritage Centre. Spend some time soaking up the atmosphere before heading to the Maxwell Hawker Centre for an authentic chicken rice lunch at Ah Tai. 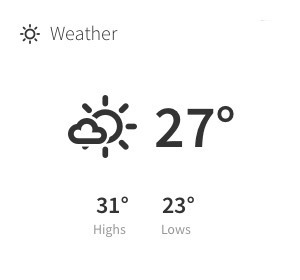 Take it easy for the rest of the afternoon with a bumboat tour of the Singapore River. Don't forget to bring your cameras for those all-important river selfies. Wake yourself up with a plate of toast and an iced coffee from the Ya Kun Kaya Toast coffee shop. Once you've had your fill, hop in a taxi to MacRitchie Reservoir. The treetop walk offers incredible birds-eye views of the lush forest canopy. Look out for the resident monkeys on your walk, and be sure to bring some mosquito repellent and a bottle of water along with you. In the evening, pull on your gladrags for a little music and mingling at Singapore's swanky 1-Altitude bar. On the last day of your holiday in Singapore, hop on a morning bumboat from Changi ferry terminal stand to the nearby island of Pulau Ubin. Take in the natural beauty of the island, before continuing on to the Chek Jawa Wetlands. Home to a wide variety of wildlife, this lush natural area is a great place to enjoy a leisurely bike ride and reflect on your time in the city. Thomas Cook Cruise can offer you a wide variety of cruise options to Singapore. Why not choose a Cruise & Stay holiday, where you can fly out to Singapore and stay in a hotel for a few nights to explore the city, before joining your cruise ship. With so much to see and do, stay in Singapore after your cruise to really experience what this dynamic city has to offer before flying home. Soak in its beautiful surroundings, boasting magnificent skyscrapers, ornate temples and lush gardens. It’s definitely a destination you’ll want to have on your cruise itinerary. Consistently Voted as one fo the worlds best hotels, A Sanctuary in a Great Central Location, Luxurious Chi Spa - treatments that reflect a true sense of Singapore. 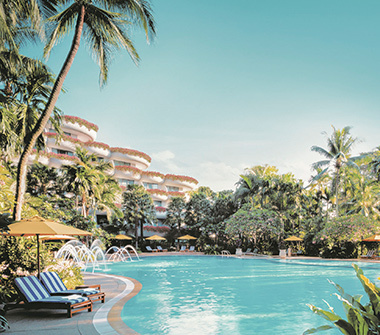 Perfect for Explorers: The Shangri-La Hotel is just a short drive from the Singapore Botanic Gardens, meaning your surroundings will be just as beautiful as your hotel. Free shuttle bus to business and shopping districts, great location; only a five-minute walk from Orchard Road and winner of the Tripadvisor Hall of Fame Certificate of Excellence. Perfect for Foodies: Hotel Jen Tanglin is just a ten-minute walk from Forum the Shopping Mall, which has over 100 places to eat; you’ll be spoilt for choice! 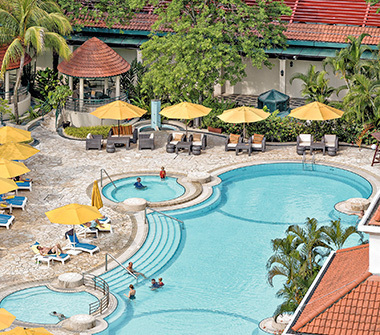 Only beachfront resort in Singapore, located on Sentosa Island, home to one of Singapore’s largest children’s club, The Cool Zone, close to Southeast Asia’s First Universal Studios. Perfect for Explorers: Head to Universal Studios for a day of fun on all the theme park rides. There are also shows and attractions which are perfect for the whole family. On the surface, Singapore is an affluent, urban destination, lined with shimmering skyscrapers, billion-dollar man-made supertrees and giant greenhouse domes which define the coastline at Gardens by the Bay. You’ll find a collection of swanky five-star hotels, including the limelight-grabbing Marina Bay Sands, which offers some truly stunning rooms. Orchard Road covers the whole shopping spectrum, from high street to high-end, and a fine fusion of cuisines is served up in gourmet restaurants. Dig a little deeper to discover varying passions in all shapes and forms, including colonial architecture, ornate temples and museums brimming with art and artefacts. Despite the huge range of cultural backgrounds, Singaporeans live together harmoniously. The city-state's unique cultural melting pot is all the more apparent when you head out to try the wide range of cuisines on offer. You'll find some of the best meals in town for just a few dollars at one of the many typically Singaporean food courts, called Hawker Centres. While Sentosa can be seen as a rainbow of family-friendly colour, its other side reveals sandy beaches, sumptuous spas and luxury hotels. Walk, ride the tram, drive across or, for an exciting perspective of the city, take the Singapore Cable Car to the island. Universal Studios Singapore, the S.E.A. Aquarium and Adventure Cove Waterpark are just a few of the theme park highlights, which will keep the kids entertained for hours, if not days. The stylish Gardens by the Bay are a highlight not to be missed. Tiptoe between the giant, tree-shaped trellises, called 'Supertrees' on the gently bobbing OCBC Skyway, for a unique take on Singapore's skyscraper-spiked skyline. After dark, see the gardens in a whole new light during the nightly light show, as the man-made trees twinkle in time to a lively soundtrack. Looking beyond the gleaming glass of the city skyline, Chinatown bustles with markets selling souvenirs. You’ll find the quintessential waving cat, plastic magnets depicting classic Singaporean dishes in 3D and a range of other keepsakes, all from heritage shophouses. The hawker centres of Chinatown serve up a fusion of flavours and tastes from across the region and beyond. In the UK, rarely do you expect to find excellent food served from a place where the menu comes in the form of illuminated food photos. Make sure Maxwell Hawker Centre is on your must-visit list. If you prefer authentic Indian food, explore the menus in Little India's Tekka Centre, where a trip up to the first floor leads to a rainbow of Indian fashions and stunning photo opportunities. With a diverse range of shopping malls spanning the entire street, Orchard Road is an ideal rainy day destination. If you’re a lover of retail therapy, a shopping spree in Singapore is something you’ll want to add to your bucket list; head to ION Orchard for luxury fashion and accessories and gourmet dining. If you’re looking for more authentic wares, the quirky 313@Somerset and Orchard Central is a cool and inspiring place to shop fashion, beauty, local brands and interior products from local designers. For something totally unique, head to Pulau Ubin, a tranquil island off Singapore’s north-east shore, and explore some bike trails. You’ll see lots of nature while you’re out on your bike ride, with different scenery including fruit farms, beaches and mangroves. You might also see some wildlife, too; like monkeys playing in the trees! Many of the best spots to sample the works of expert mixologists also come with sweeping rooftop panoramas of the city. Plan your cocktail trips around happy hour for reduced prices. 1-Altitude on top of One Raffles Place, ION Sky on Orchard Road and CE LA VI at Marina Bay Sands offer the best views and some of the tastiest cocktails. It’s noticeable, almost from the moment you step off the plane, that while their ancestral heritage lies overseas, people here are proud to call themselves Singaporean., Singapore is a clean, safe, and well-kept place to live, which makes it a great place to visit. Locals are always more than happy to lend a helping hand or provide recommendations on the best places to eat, or secret bars to discover. For a truly authentic Singaporean meal, head to Hill Street Tai Hwa Pork Noodle, which is a famous street food stall, loved by locals and visitors alike. In 2016, it became one of the first two street food locations in the world to be awarded a Michelin Star, and once you’ve visited yourself, it’s not hard to see why. Candlenut is the only Peranakan restaurant in the world with a Michelin star. It has a real focus on seasonal produce, which means if you pay this restaurant a visit you can enjoy some fresh and fragrant flavours. Helmed by Singaporean chef Malcolm Lee, Candlenut is always looking to create new, inspiring dishes which are influenced by the city-state’s Peranakan history. If you’re looking for somewhere which really embraces Singapore’s diverse cuisines, Coriander Leaf is the place to be. With cool, contemporary cuisine, and a menu which has a bit of everything from all over the region and country, you can enjoy some traditional Asian comfort food with a modern twist. Keng Eng Kee Seafood Restaurant is a place which is all about the cooking skills. With authentic Hainanese knowledge, they’ve mastered creating fantastic food for the local community, spanning three generations. By experimenting with local flavours, they’ve found their own trademark, which you’re sure to love. You might’ve tried a few burgers in your time, but Wild Rocket will give you an experience which is totally different from a traditional cheese-and-bacon in a bun. They’ve got lots of fun flavours on offer, like the blue cheese, poached pear & walnut burger; it’s a delicious, gourmet alternative to what you might be used to. Voted as one of the world’s 50 best restaurants, the Tippling Club offers a fantastic pairing of food and cocktails in homely surrounding. For the full experience, go for the complete tasting menu, kicking off with a range of snacks and finishing with the ‘three textures of milk’ dessert; just don’t forget to try the famous wild Scottish razor clams! Thanks to the population’s wonderfully diverse heritage, Singaporean culture is very unique. We’ve pulled out eight of the city-state’s top cultural highlights to help you find out more. The Asian Civilisations Museum is a must-visit on your cultural trail. Standing on the banks of the Singapore River, the stunning historic structure of the Empress Palace Building was government offices in its former life. Inside, the story of the ancestral heritage of the Singaporean people unfolds, told through artefacts such as ancient drums, intricate craftwork, diverse depictions of Buddha, fearsome weaponry and royal finery. For an insight into Singapore's bohemian side, make your next stop Haji Lane. The quaint, narrow street located near Bugis MRT station greets you with bright and bold street art. Boutiques, galleries and cafes attract tourists and local hipsters into their quirky realms. If you can, visit on a weekday, as this instagrammable little road can become packed to the rafters at weekends. Home of the Peranakans, Katong makes for the perfect retreat for locals as well as visitors, with its cool, residential feel. Katong is just next to Joo Chiat, where foodies can explore some unique cuisine including ‘kueh chang’ dumplings and other Nonya delicacies. Culture Shapers will love strolling around the neighbourhood which is full of unique, pre-war architecture, featuring colourful two-storey shophouses and terrace houses with ornate, ceramic tiles. Head to Lavender MRT station to wander the Jalan Besar Heritage Trail. Grab a guidebook and discover the area's journey from its swampland beginnings to the bustling neighbourhood it is today. The pretty tile-clad shophouses on Petain Road are definitely worthy of a snap or two. When you reach Tyrwhitt Road you'll find Chye Seng Huat, an art deco hardware store, which has been creatively transformed into a café serving brews to satisfy the fussiest of coffee connoisseurs. Explore Singapore's colourful history at the Chinatown Heritage Centre. The centre is home to a fascinating collection of artefacts and exhibits from the past. Back outside in the bustling streets, you can't help but gaze up at the rainbow-coloured Chinese architecture, hanging lanterns and sea of stall canopies. Walk a while to browse the shops and stalls brimming with souvenirs, or even stop by an antique emporium. The food here, however, is the main event. Find yourself a Hawker Centre (there are plenty to stumble upon), and do your best to choose from the mind-blowing choice of excellent quality meals for just a few pounds. Rich in culture and tradition, Singapore's Little India neighbourhood is a melting pot of South Asian influence. From traditional restaurants serving Indian delicacies on banana leafs, to cloth shops bursting with colour and atmosphere, there is a piece of culture on every corner. Reach this vibrant area via MRT and make sure you leave at least half a day free to fully savour the sights, sounds and smells. For a deeper insight into the culture, the Indian Heritage Centre offers a rich programme of Indian-inspired activities and art. Get lost exploring the world's largest collection of Singaporean and Southeast Asian art at the National Gallery Singapore. The former Supreme Court and City Hall buildings are now a fascinating visual arts destination, with over 200 years of Southeast Asian art, and some of the city-states most iconic pieces hanging from the walls. Arrive early so you’ll have plenty of time to explore the treasures. From the moment you step off the plane, Singapore gives you an insight into just how much importance it places on surrounding its people with nature. Burgeoning and beautifully tended plant life deck the Changi airport terminals. Named the World’s Best Airport 2016 in the Skytrax World Airport Awards, it houses over 1,000 butterflies within its very own butterfly garden. It’s hard to think of a more serene spot to calm any pre-flight nerves. Travelling by taxi from the airport into the city, shady trees form a reassuring welcoming committee, and you quickly notice that even the central reservations here are lined with bursts of smile-inducing pink petals. This is a place where attention to detail is apparent in everything. There’s a real effort to provide calming green spaces, from tranquil gardens, to rustic nature reserves, you are only ever 10mins away if you want a break from the urban hustle. A striking example of where reclaimed land has really come into its own is Gardens by the Bay. Here, creative urban engineering intertwines with plant life to create something spectacular. The gardens' signature Supertrees must be one of the most photographed sights you'll see of modern Singapore. Wind your way through the suspended walkways of the Cloud Forest Dome, feeling the refreshing mist from the waterfalls on your skin. Lush foliage and bright petals thrive in their environment, while the rich, earthy scent of vegetation almost convinces you that you're in a real rainforest. Time your visit to the gardens for twilight or thereabouts, and you'll be treated to an expertly choreographed light show just after dark, with an accompanying soundtrack. The MacRitchie Nature Reservoir is fondly referred to as ‘nature’s playground’, and it’s not hard to see why. If you’ve got a head for heights, join in with one of the Treetop Walks, which is a 50m free-standing suspension bridge, which runs between the park’s two highest points. If you prefer to be on solid ground, but still want to enjoy some amazing views, take a magical walk around the 11km nature trail loop, known as MacRitchie Trails. The trail is full of nature, where you could see anything from lizards to flying lemurs. Fancy a thrilling experience at the MacRitchie Nature Reservoir? You can also take part in some water sports here, like canoeing and kayaking, which is sure to give you an experience you’ll always remember. If you need a breather from the city, the sprawling tropical parkland of the UNESCO-listed Singapore Botanic Gardens is free to enter and offers plenty of chilled-out space to wander. A game of ‘spot the lizard’ will keep kids big and small entertained for hours, and there’s a real educational element to this place, with an informative garden dedicated to medicinal plants. Follow your nose to the spa-scented Fragrant Garden. The National Orchid Garden’s collection of beautiful blooms is definitely worth the ticket price. In a place where land is at such a premium, finding space for nature really matters, and Singapore has done it with style. Burgeoning tropical plant life happily co-exists with world-leading architecture to make up a varied destination that’s well worth the journey. Singapore’s unique cultural melting pot brings with it a colourful collection of festivals, giving the population plenty of chance to party. Cheerful decorations signal the start of religious and cultural festivities, and the city’s passion with food tends to intensify. Whichever month you decide to visit, there’s a good chance you’ll find a celebration going on somewhere. We’ve listed just some of the most noteworthy. Singapore's biggest annual festival centres round Chinatown, which makes sense considering the majority of the population has Chinese heritage. Taking place in January/February, Chinese New Year treats Singaporeans to a two-day holiday. Bright and bold celebrations include music, performances, and markets filled with Chinese treats. Head to Orchard Road to watch the Chingay Parade of Dreams, Chinatown's colourful parade-come-variety-show. ThaipusamStarting at Sri Srinavasa Perumal Temple on Serangoon Road, Hindus make their way to Chettiar Hindu Temple on Tank Road. This big and bright two-day festival held in honour of Lord Subramaniam, the destroyer of all evil, takes place in January or February each year. Some followers walk the 4.5km route carrying kavadis, a kind of frame decorated with peacock feathers and flowers. Others carry less elaborate offerings, such as pots of milk, while hymns and prayers are chanted in encouragement. The World Gourmet Summit is Asia’s premier food and wine event, which take place in the spring every year. The event has now been running for over two decades and is seen as one of the most prestigious places to showcase your produce. Every year, there’s home-grown and worldwide talent which draws the crowds for those people that love the finest food and wine. On Vesak Day, Buddhists around the world celebrate the birth, enlightenment and death of Buddha. Temples fill with worshippers offering flowers and candles during this time of reflection. Monks deliver teachings, and vegetarian feasting is often a main feature. Countries following the Gregorian calendar tend to celebrate the day in May (or June, if it's a leap year). Hari Raya Puasa is the Malay name for Eid Al Fitr, the Muslim festival celebrating the end of Ramadan. It takes place each June. Shuffle your way through roadside bazaars in Geylang Serai and Kampong Glam, and follow your nose past a tempting array of authentic Malay specialities. Colourful decorations and street lighting make this festival a feast for your eyes as well as your taste buds. If you love indulging in a bit of retail therapy, the Great Singapore Sale is an event which happens every year where shoppers can pick up bargains which are reduced by as much as 70%. Luckily, the Great Singapore Sale runs for ten weeks, meaning you’ve got plenty of opportunities to hit the shops if you’re there on holiday. Catch the Singapore Food Festival every year from the end of June to the end of July. It’s a fantastic mixture of food and culture, with sizzling street barbecues and fantastic live music. If you fancy getting more hands-on, you can take part in cookery classes or watch demos. However, no one will judge you if you simply want to kickback and pile up your plate. Also known as the Mooncake Festival or the August Moon Festival, the Lantern Festival is the time when Buddhists honour the full moon and enjoy family-centred festivities. Paper lanterns, decorations, and lights brighten up the city. At moon-viewing parties families nibble on mooncakes, traditional pie-shaped pastries with sweet fillings such as lotus seed paste. If you stroll around Singapore between the months of August and September you'll notice tables laid with offerings, including meats, sweets, and incense. These offerings are gifts for the spirits who come back to roam the Earth during the seventh lunar month. Chinatown plays host to events including celebration feasts, outdoor Chinese opera and comedy performances. Held in mid-September, the Grand Prix Season Singapore draws thousands of racing enthusiasts, musicians and partygoers to the city-state each year. Visitors can look forward to glitzy parties, grand concerts, pop-up stores and a general party atmosphere in the air. Deepavali is the Tamil name for Diwali, the Festival of Lights. Held each October, Hindus, Sikhs and Jains throughout the world celebrate the triumph of good over evil and light over darkness. In Singapore, Hindu temples light up with oil lamps, candles and fairy lights. Make your way to Serangoon Road in Little India to see eye-catching street decorations and bazaars brimming with saris, spices and jasmine garlands.